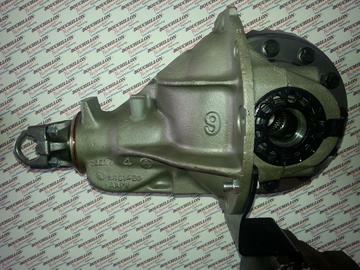 8.75" Mopar Rear End Differential Assembly, 100% All New Internal Components. Case has been stress relieved and thoroughly tested for straightness and fit. Built Here In The USA, By Our Skilled Team Of Professionals & Master Tech Certified Differential Builders. Includes your choice of New Premium 3.55-1 Ring And Pinion Gear, New Auburn Pro Posi w/ additive, Premium Bearings and New 7290 Differential Yoke. Completely set up, ready to bolt in.